A school teacher in West Virginia who allegedly followed a transgender student into a bathroom and harassed him will lose his job at the end of this school year. The school’s board of education unanimously voted not to renew Lee Livengood’s probationary contract at Liberty High School, according to the San Francisco Chronicle. County schools superintendent Mark Manchin said that it was not unusual for teachers not to have their contracts renewed at the end of a probationary period. 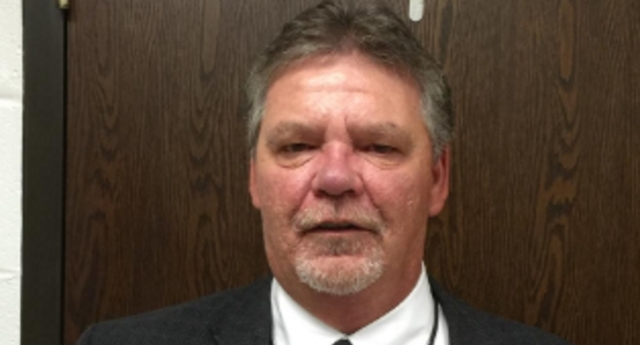 “There’s no other reason other than the fact that we just desire not to have him continue as an employee of the Harrison County Board of Education,” he said. Assistant principal Lee Livengood was suspended from the school late last year after he followed transgender student Michael Critchfield into a bathroom. He allegedly approached Critchfield, who was using a stall in the boys’ toilet, and asked him why he was using men’s facilities. He then told Critchfield to use the urinal to prove that he was a boy. When Critchfield tried to leave the bathroom, Livengood reportedly blocked the exit and asked what would happen if another boy thought he was trying to check him out in the bathroom. After the American Civil Liberties Union (ACLU) complained to the head of Harris County school board in December, Livengood was temporarily suspended. The ACLU said earlier this month that the school had failed to meet terms agreed when the two sides settled the complaint in January. “He shouldn’t be in the same room as Michael, ever. This is was a very traumatic incident,” Loree Stark, legal director for ACLU West Virginia, told NewNowNext. In an ACLU press release in December, Critchfield, 15, said the incident with Livengood, which took place on November 27, had left him terrified. “At the end of the day, all I want is to feel welcome and safe in my school,” the teenager said.